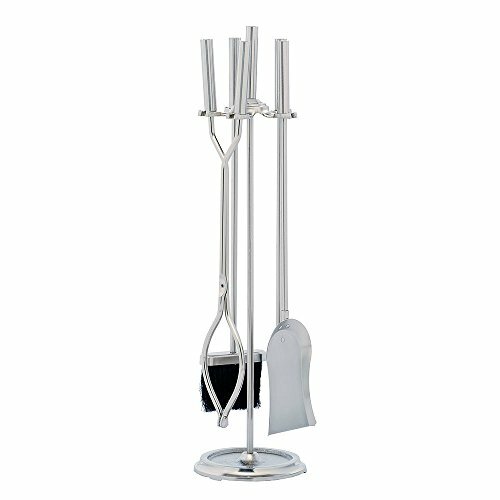 Fireplace tools are must-haves beside your fireplace hearth. They do not just add a homey atmosphere but are also vital for certain tasks such as building and maintaining fires and cleaning out the fireplace. Interestingly, archeologists discovered that one of these tools — the poker — has been used since the Paleolithic period. Andirons appeared during the 16th to 18th century AD while the bellows were common in medieval Europe. Fireplace screens, on the other hand, were initially introduced as a piece of furniture that served as a shield from the excess heat that came out of the wood-burning fireplace. These tools have a long history and evolved throughout the centuries into the forms we know of today. While most people think of digging when they think of using a spade, as a fireplace tool this is a very useful piece that you will want to have. Rather than digging in the ground, a fireplace spade makes it possible for the person tending the fire to move ashes and coals around in the fireplace without being burned. They generally have longer handles so that there isn’t any risk of the person getting too close to the fire, and they are great for transferring old coals and ashes to an ash bucket. 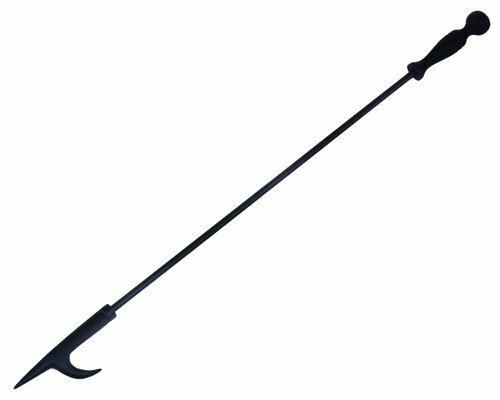 Looking for a spade that has a thicker or textured handle will make it significantly easier for the person using this tool to remain in control of it so that they do not accidentally drop the spade while digging in the fireplace. The fireplace poker is also commonly called the stoker, and it is a shorter piece of metal that can be used to push, hook, and even rake materials in the fireplace. 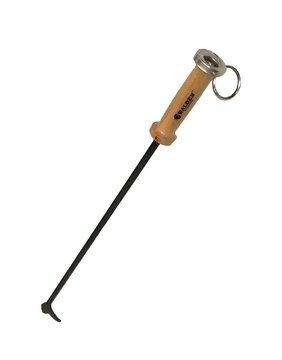 These tools often have an insulated handle to ensure that the user doesn’t get burned, and they are most often used when there is a roaring fire or very hot coals that need to be moved. If you are concerned about accidentally burning yourself when using a poker, then it is a good idea to opt for one that has a longer handle so that you can be certain that your hands will be protected. Being able to adjust the position of burning logs without risking being burned is important. For this reason, every person who has a fireplace needs to have this tool available for use. Also commonly called a “dog iron”, this tool is very common in older houses, and it is easy to find them at an antique or a vintage store. They are horizontal bars that are used in pairs to help support the logs in the fireplace and allow air to pass underneath them. This will limit the amount of smoke that builds up inside of the home and will keep the logs from becoming so compact that they have problems burning. Using an andiron ensures that you have crackling flames in your fireplace instead of simply smoldering logs. It’s important to have your andiron in the correct place in your fireplace before starting a fire, as it is impossible to move safely after the fire is going. Using a brush that is specifically designed to clean out your fireplace is the best way to remove ash and bits of charred wood when the fire has burned out. Unlike other brooms or brushes that you may want to use for this task, a fireplace brush has a very full and thick head to ensure that you can easily brush out all of the remaining ash from the fireplace. Additionally, their long handles make it easy to clean out the back corners of the fireplace without having to get into an uncomfortable position to do so. The head of these brushes is generally the same size as the fireplace shovel so that they can be used together to completely remove any leftover ash from the fireplace. Any home that uses a fireplace for heat or for comfort will need to have logs available to continue to feed to the fire. While it is possible to store your logs outside and to go outside each time you need additional fuel, many people prefer to have a log holder on their hearth that they can use to store a smaller amount of logs. Having logs inside the home ensures that they are dry and will burn better than ones left out in the cold or wet. Additionally, when logs are already in the home and by the fireplace, there is less of a chance that the person bringing in the fuel will drop them or lose bits of bark or dirt on the floor. Log holders come in different sizes, styles, and are made of varying materials, making it easy to choose one that will match the décor of your home. While these tools are not necessary for having a fire in the fireplace, they make it significantly easier to increase the amount of flames that you have without trying to bend down and blow into the fireplace. They work by delivering bursts of air to a specific location inside your fireplace. The bellows fill up with air when the user pulls the handles apart, and then the air is pushed out through the nozzle as the handles are pushed together. They are very easy to operate by opening and closing them, and they make it easy to kindle flames in your fireplace without a lot of effort. While most fireplace tools are similar in appearance, bellows can be bought in a number of different styles and with decorations, making them a fun way to add visual interest to your fireplace tools. Unlike a brush that is used to clean out ash and bits of wood from your fireplace, a hearth broom is used to brush off the hearth. These brooms generally have a longer handle which will make them very easy for a person to quickly brush off their hearth without having to get on their hands and knees. Because these brooms do not have to be able to brush up large amounts of dust and ash, they do not have to have as thick of a head as a fireplace brush does. This means that homeowners have more choices when choosing a hearth broom. They can pick one that appeals to them visually, and they do not have to make their decision based solely on the utility of the broom. A lighter is an important tool for anyone to have if they are going to be starting a fire in their fireplace. While matches were most commonly used to do this job, using a lighter makes the whole process a lot faster and easier and will decrease the chance that the person starting the fire accidentally burns their fingers. While there are many different types of lighters available on the market, the best type for starting a fire in a fireplace is going to be a stick lighter. 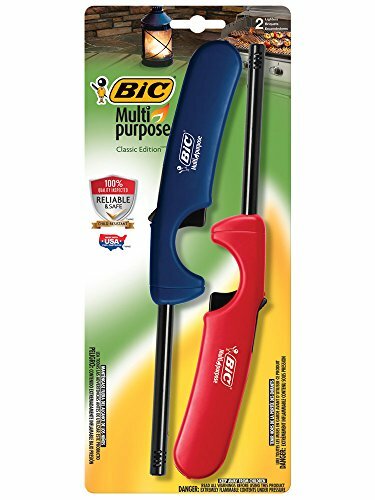 Because these have very long handles, they make it easy for the user to light a fire without having to put their whole hand into the fireplace. If there is a problem getting the fire to stay lit, the user will be able to keep their hand safely out of the fireplace and still ensure that the job gets done. An ash bucket is an important tool for every homeowner to have if they are lucky enough to have a wood-burning fireplace. Because cleaning out your fireplace on a regular basis is important, it’s a good idea to make this job as easy as possible to ensure that it gets done in a timely fashion and is completed correctly. Not only does cleaning out your fireplace ensure that you get quality burns each time you have a fire, but it will reduce the amount of ash and dust that can be stirred up and released into the air of your home. Using an ash bucket ensures that you have a place to put your ashes, even if they are still warm, and you will not have to worry about the damage you may cause trying to put them in your trash can. The ash bucket can then be carried outside, and the ashes can be dumped away from the home. Also called tongs, log grabbers allow you to easily handle hot logs and twigs in your fireplace without accidentally getting burned. They make it easier to move large logs around in your fireplace and to lift and position them so that the fire is able to get enough oxygen and will burn correctly. Unlike a poker, which is great for pushing and pulling logs, a log grabber has two handles that are connected like scissors. With one hand on each handle, it is easy for the user to open and close the log grabbers, easily shutting them on logs and moving them to a new location in the fireplace. These are also beneficial for people who are concerned about reaching into the fireplace to add a log to the fire, as they can be used for adding new wood, as well. SourceA screen may seem unnecessary, but it is the best way to keep the fire in the fireplace from popping and sending embers and sparks into the room. While screens were once very utilitarian, they can now be easily found in a number of different designs and styles. This means that you can enjoy the increased safety and security that a fireplace screen offers you while improving the appearance of your fireplace at the same time. Using a screen is important in any home, but it is especially beneficial for homes with carpet, as any embers that land on the carpet can not only burn an unsightly hole in the flooring but may also start a fire. It can be very difficult to completely clean out your fireplace and to get all of the dust and ash out from the back corners. For this reason, using a flexible brush is such a good idea. These brushes allow the user to bend the head of the brush so that it can be angled correctly into the fireplace. Being able to get all of the dust and ash out of the fireplace is important and will improve the safety of the fireplace and the quality of the burn. While these brushes generally do not have the large head as other fireplace brushes do, they are ideal for removing the last bits of ash from the fireplace without the user having to spend a lot of time doing so. The best way to get started when you have a fireplace and need the necessary tools is to buy them in a set. This is often much more cost effective than trying to buy each tool individually, and it will ensure that you have all of the necessary basics. When you decide that you want new tools or an additional tool that was not included in your set, then it is very easy to buy it separately. Rather than trying to hunt down all of the tools that you need and delaying being able to have a fire in your fireplace, when you buy a set you will get everything that you need all at once. 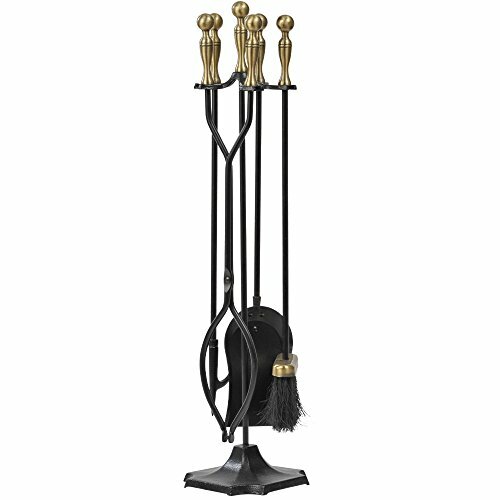 Special tools, like the bellows or andiron will generally not be included in the set, but they are easy to pick up on their own. When you buy your tools as a set, it is a good idea to look for ones that come on a stand, which offers you a perfect location to store your fireplace tools when they are not in use. The stand can be placed on the hearth to keep your tools nearby your fireplace, and having a great selection of all of the tools that you need close to hand will ensure that you are prepared for having a fire. Additionally, since you can hang your tools on the stand, you won’t have to worry about how to store your tools and whether or not they will make your home dirty. While using a bellows is a great way to stoke your fire, if you do not want to have this additional tool for your fireplace or for use outside, then it’s a good idea to pick up a stoking poker. Rather than having to try to blow into your fireplace to provide the necessary oxygen for the fire to grow, you can blow into the end of the poker, and it will shoot a powerful jet of air into the fireplace. This allows you to direct exactly where you want the air to go and to provide additional oxygen to your fire without putting your face too close to the flames. This also makes it very easy to send oxygen deep into the fire, while at the same time making adjustments to the location of the logs and how they are laying on each other. Because your fireplace tools are going to be on display in your home, it is a good idea to opt for ones that are decorative so that you can enjoy an attractive fireplace set that is as visually appealing as it is functional. Because you now have amazing options of fireplace sets and tools to choose from, it is easy to find ones that appeal to you visually so that you can know that your tools will add to the beauty of your fireplace, rather than detract from it. One great thing about decorative tools is that they are just as functional as ones that are not decorative, so you don’t ever have to worry about sacrificing the quality or function of your tools in order to obtain ones that will look nice in your space. Handmade fireplace tools are often very visually appealing and are a great way to improve the appearance of your fireplace and to ensure that it does not detract from the décor and overall appearance of your home. When you opt for handmade fireplace tools, it is important to make sure that you fully vet the person or company who makes them, as you want to be sure that they will be high-quality and will not fail you during use. This is the most important thing to consider, as you do not want to risk faulty fireplace tools burning you or a family member during the use of these handmade fireplace tools. It is not worth putting your family members at risk by using handmade tools that are gorgeous but not safe. 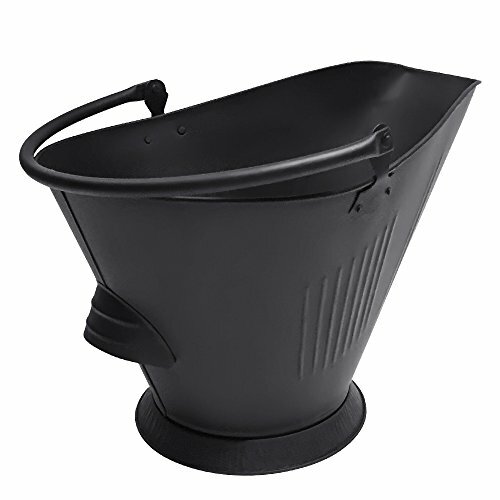 When you are in the market for an ash bucket, it is a good idea to opt for one that has a lid, as this will reduce the chance of spills in your home. No matter how full your ash bucket is, if it tips over, there will be a huge mess in your home that you will have to clean up. By opting for a lidded ash bucket, you will be able to reduce the risk of this occurring. This is also important if you tend to put hot coals into your ash bucket, as it can be disastrous if these coals were to spill out. The lid is simply added protection that nothing will fall into your ash bucket on accident and that if the bucket does tip it is less likely that everything will spill. Steel fireplace tools are affordable, easy to maneuver, and will last for a long time. While not quite as durable as wrought iron, steel has been designed to withstand incredibly high temperatures without being damaged. Many people love the dark appearance of steel fireplace tools and also enjoy their longevity. Because steel is darker in appearance than stainless steel, these fireplace tools look great in cabins, traditional homes, and with classic décor. Wrought iron fireplace tools are going to be the most sturdy, durable, and reliable type of tools that you can buy. This means that you will likely never have to purchase new fireplace tools as long as you do not abuse your current ones. Wrought iron is visually appealing and makes fireplace tools that look hefty and solid so that you do not have to worry about whether or not they will last. Fireplace tools made from wrought iron are generally a little bit heavier than ones made from other materials, which allows the user to feel like they are in complete control of the fire. However, it can make it a little bit difficult for people with less upper body strength to use these fireplace tools. 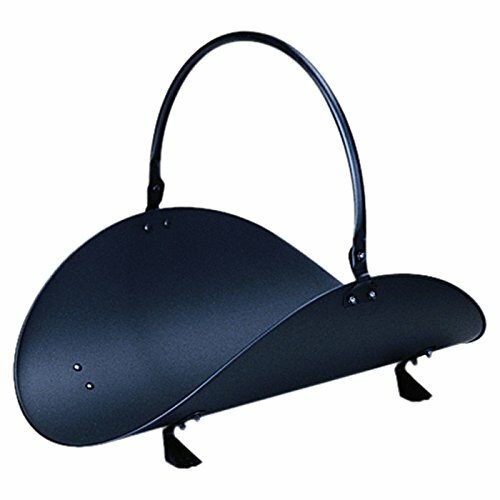 Buying a bellows for your home should be enjoyable, and since this tool will be on display by your fireplace, it is a good idea to look for one that you find attractive. Wooden bellows are easy to find and generally have beautiful carvings in them that will not affect the function of the tool and will make the tool more attractive. 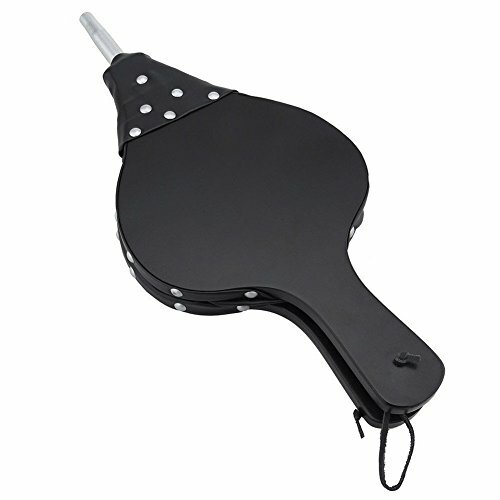 By opting for a wooden bellows that appeals to you visually, you can have confidence that you will be happy with this tool on display and that you will be more likely to use it when necessary. If you want fireplace tools that will sparkle and add a lot of shine to your fireplace, then it is a good idea to look for ones that are made out of stainless steel. While just as functional as fireplace tools made out of other materials, many people prefer stainless steel simply because of the way it looks. It is important to keep your stainless steel clean so that it maintains its shiny and attractive finish. If you have a modern home, then opting for stainless steel fireplace tools will help to ensure that your tools match the décor and the appearance of the rest of your home.